Starting off is a game many overlooked because it's a licensed game based on the Pac-Man and the Ghostly Adventures CG cartoon. While the source material doesn't interest me at all, the game series it's based off of is actually pretty good. The first game was a competent 3D platformer, but it's the excellent sequel with some incredibly tight platforming, creative level design, a multitude of secrets that impressed me immensely. 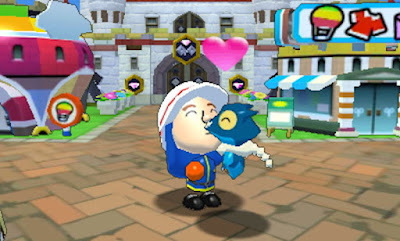 Pac-Man and the Ghostly Adventures 2 isn't just a good licensed game; it's a good game in general that many underrate due to it being tied to a TV show. Don't sleep on this game, folks. If you liked Pac-Man World back in the day, The Ghostly Adventures 2 plays like a more polished version of that. The latest Mario & Luigi game in Red and Green's long line of RPGs, Mario & Luigi: Paper Jam delivers the trademark humor and wit of the series while capturing the amazing timing-based feel of battle from past games in the series. 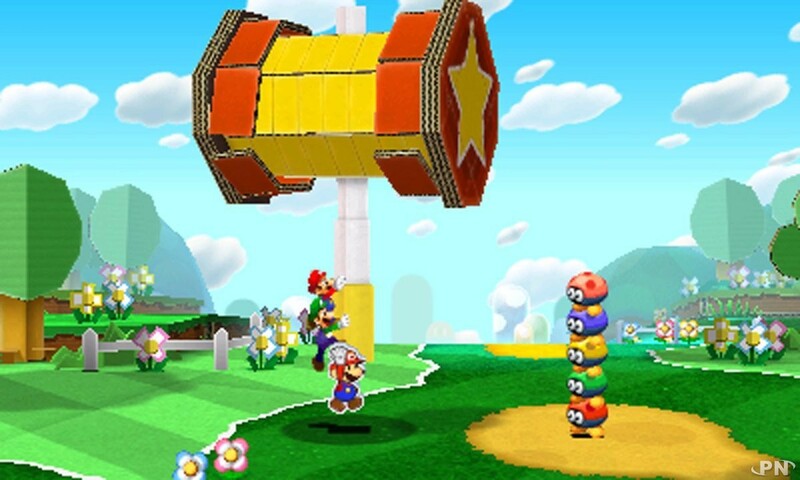 Paper Jam gets some hate for not introducing new characters like past Mario & Luigi games did, such as the Bean Bean residents or Fawful, for instance. Instead, it relies on familiar Mushroom Kingdom characters, which to me was like seeing familiar old friends in a new light. 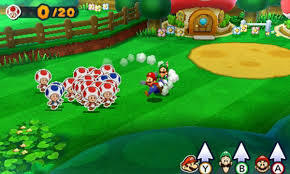 The Toad rescue missions that many found too much are so varied that they offer much wanted variety to the game. The other mini-games that permeate throughout Paper Jam are also excellent as well. This under 30 hour RPG definitely delighted in almost every facet for me, and it's one of my favorite Mario & Luigi games aside from Superstar Saga and Bowser's Inside Story. So many people talk about the games that preceded, Rayman 2: The Great Escape, and followed, Rayman Origins, this next game. For good reason, as both of these aforementioned games are well made and some of the best in the platformer genre in both 2D and 3D form. 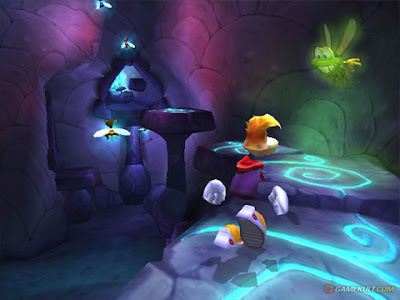 However, Rayman 3: Hoodlum Havoc, released on the PlayStation 2, GameCube, Xbox, and Windows is far from unworthy to be mentioned in the same sentence as Rayman 2 or Rayman Origins. The game comes with a lighthearted feeling to it, often mocking the same genre it's apart of. The level design is stupendous, offering sophisticated enemy placement, fantastical worlds, and many opportunities for exploration. Rayman 3: Hoodlum Havoc doesn't get mentioned as much as many of the entries in the Rayman line of games, which is a shame as it's of just as wonderful of quality. The Pokemon series entered the free-to-start/free-to-play line of monetization with the Nintendo 3DS' Pokemon Shuffle. 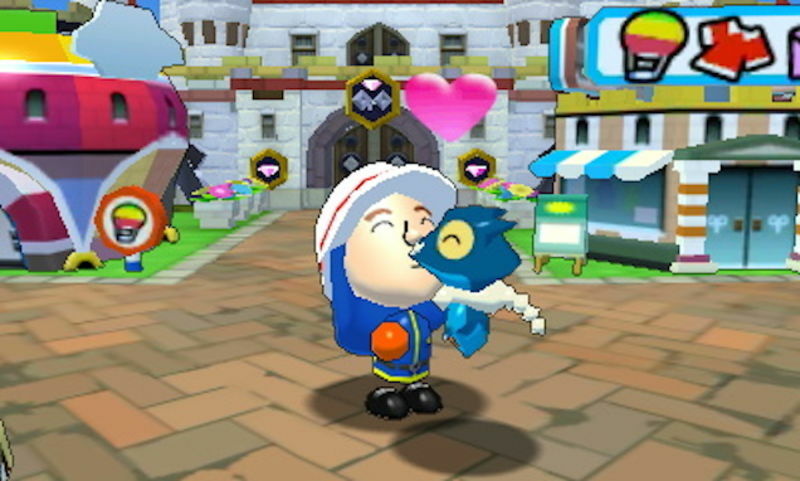 It then took the dungeon-crawling of the Pokemon Rumble series and turned it into a free-to-start adventure known as Pokemon Rumble World. 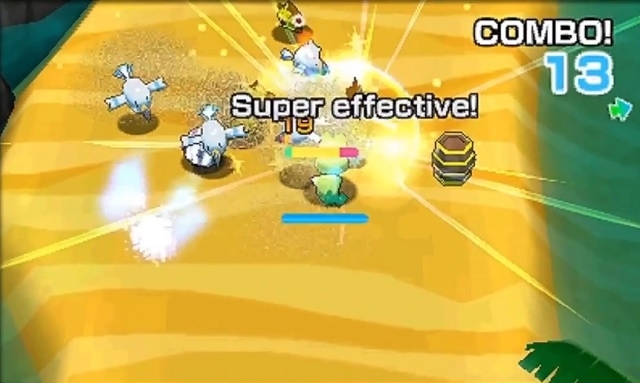 I adore the Pokemon Rumble series, which features simple two-button attack combat, the ability to get lucky and collect fallen Pokemon in battle to add to your roster of playable characters, and linear dungeons to take out enemy Pokemon in. Truly, you didn't really need to spend any money to fully enjoy the game, but to open up later levels you might have to invest in some dough... or I guess in this case "Pokemon Dollars". In any case, a full retail version that has everything from the free-to-start version of the game is releasing at the end of the month, and you can bet that me, being such the Pokemon Rumble World lover, will be purchasing it to add it to my collection. The truly underrated Batman: Arkham game, and one of the reasons is that it wasn't even made by the main studio behind the games, Rocksteady. Instead, WB Games Montreal developed Batman: Arkham Origins, and it's actually one of my personal favorite Batman games. It's a prequel that delves into the night of a younger Batman, faced with a multitude of assassins trying to take out the bounty on the bat's head. Everything players loved about the Arkham series was present in Arkham Origins: the excellent combo-based combat, the open city structure, the engaging story, the sense of discovery with Riddler trophies, and so much more. 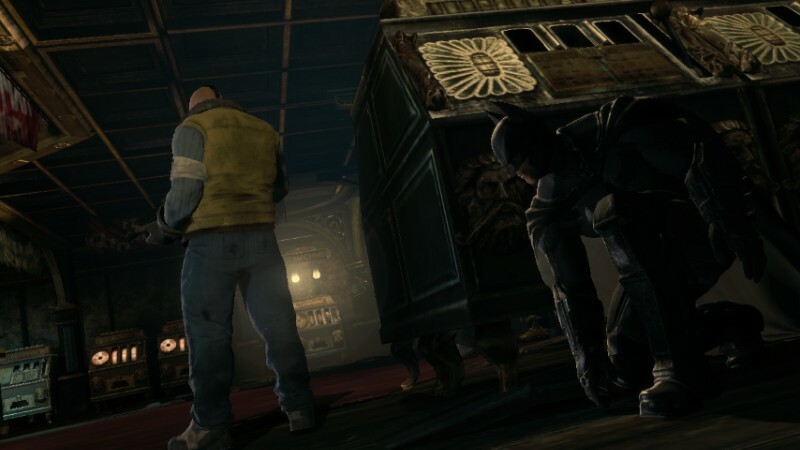 Arkham Origins added detective segments where Batman would investigate a crime scene to piece together what occurred and by whom. 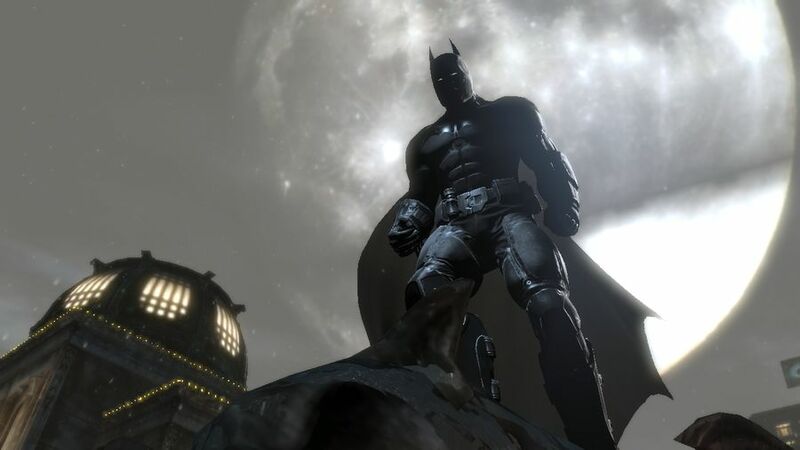 Batman: Arkham Origins is a satisfying romp from beginning to end, and it definitely deserves more love when compared to the other games in the franchise. 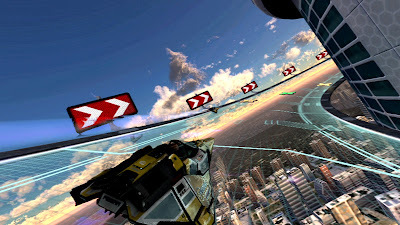 The game that put the series on indefinite hiatus, Wipeout 2048, a launch title for the PlayStation Vita delivers gorgeous visuals, lightning fast racing speeds, incredible to look at and race on tracks and circuits, a highly addicting solo and multiplayer mode, and all the fun the Wipeout series is known for. 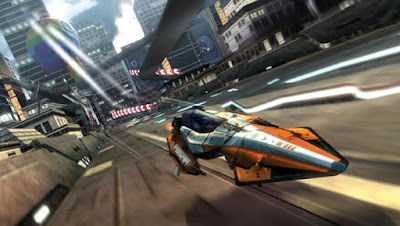 It being limited to the PlayStation Vita definitely doesn't help spread the love of this marvelous futuristic racer. What you'll find with Wipeout 2048, however, is a game that is full of content to keep you playing, filled with enough variety in its tracks and objectives, and intense races to put a smile on your face... well, unless you're racing dead last. Then, you might be a bit sour on the game, but seriously, as the kids say, "git gud". Apparently the 30 second trailer I posted last week to SuperPhillip Central wasn't the North American commercial for Star Fox Zero after all. Instead, this one posted to Nintendo's YouTube channel is, focusing on the puppets from Nintendo's E3 showing last year. It's a goofy commercial which is hit and miss in some regards. Then again, who am I to talk when I know little about good marketing! You can have a nearly flawless game-- great action, great set pieces, great combat, great narrative, great characters, great gun play (if you're a shooter), etc., but if your level design is poor, your game is going nowhere fast. 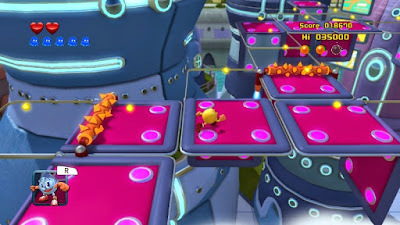 While the games featured on this volume's list of Bad Levels in Gaming History generally have fantastic level design, there are some sections, areas, levels, or whatever that do nothing but annoy, whether they be poorly designed, a slog to go through, or what have you. After you've scoped out my picks for bad levels in this ninth volume of Bad Levels in Gaming History, list your own in the comments section. 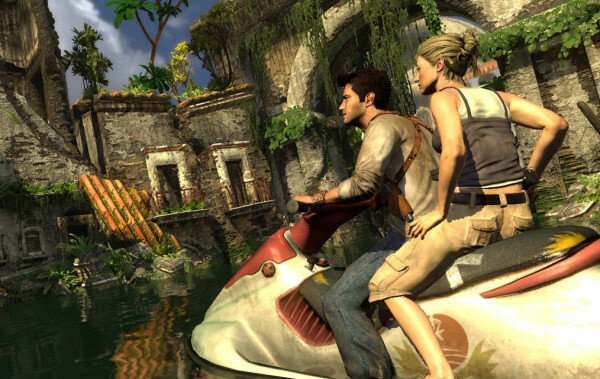 For my first "level" pick, we find treasure lover and dashing gentleman in his own right, Nathan Drake and his female accomplice Elena aboard a jet ski in a flooded ancient city setting. 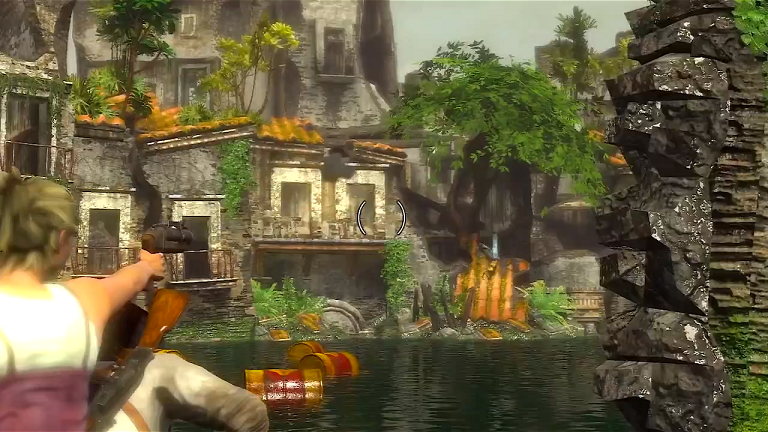 While Drake drives, Elena has a grenade launcher to fend off enemies. Sounds fine enough so far, right? Well, that's until you factor in the usually cramped channels filled with explosive barrels that if Nate and Elena's jet ski touches them, they'll get blown to smithereens. This is all the while having to navigate very carefully through the water to get the perfect viewpoint on oncoming enemies that await in the various architecture of the ancient city. It's all too easy to accidentally run into a barrel or drive too far ahead, getting filled with enemy lead, because most of the enemies, whether hiding on rooftops or within the architecture of the ruins, can be very hard to spot until it's too late. 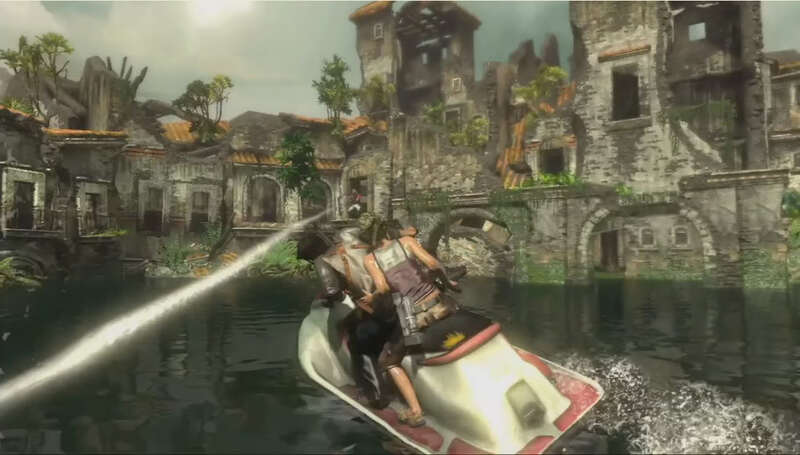 Add into the fact that jet ski doesn't control the best, and you have a recipe for frustration that is the Drowned City chapter of the original Uncharted. 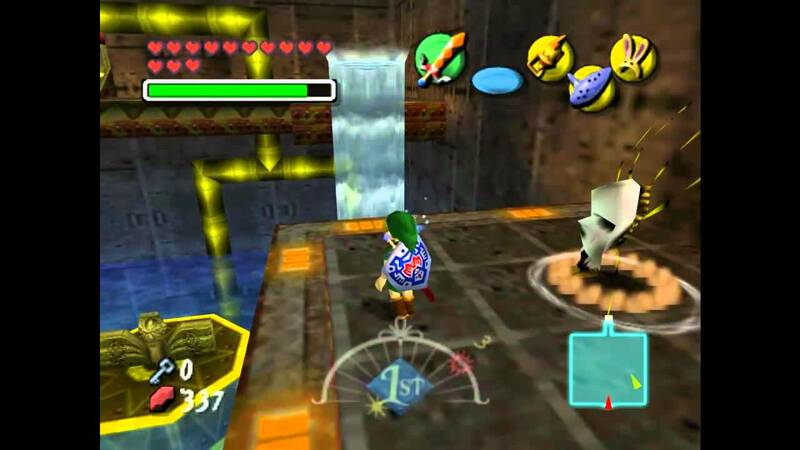 When most players and fans of Nintendo's historic series think of a water-themed dungeon in a 3D Zelda game that is highly annoying, they tend to think of the Water Temple from The Legend of Zelda: Ocarina of Time. For good reason, as in the Nintendo 64 original, having to pause the game constantly to equip and remove the Iron Boots was highly annoying. Thankfully, this was amended in the Nintendo 3DS remake. However, a dungeon in the 3D Zelda games that I find irritating to play without the help of a guide comes from Majora's Mask. It's the third dungeon of the game, and it's none other than the Great Bay Temple. This waterlogged dungeon's main claim to fame is that Link has to push switches to change the flow of water in the dungeon. This makes the current go absolutely crazy fast, making it difficult to swim to the desired room. 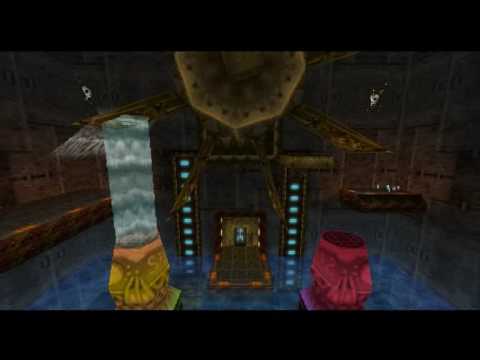 Couple that with a labyrinthine design full of rooms that can only be reached by making the flow of water move in the correct direction, and the Great Bay Temple can make you crazy in a jiffy, especially when you have impending doom coming with a moon in the sky that doesn't care if you don't finish this complicated dungeon on time. We seem to have a theme here of aquatic themed levels so far with this edition of Bad Levels in Gaming History. 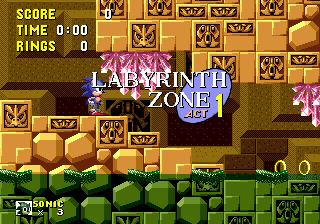 Well, this continues with a classic zone from the original Sonic the Hedgehog, the Labyrinth Zone. Sonic the Hedgehog's first outing has a pattern in its zones. The first, third, and fifth are faster experiences, while the even numbered zones are much slower affairs. The Labyrinth Zone is the fourth zone in Sonic the Hedgehog, so yep, it's quite a slow slog. ...And quite the annoying one at that! 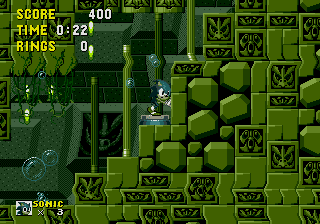 While the Marble Zone is also slow going, the fact that there is so many easy ways to drown, annoying traps, and ways to die, makes the Labyrinth Zone my pick as most annoying zone in the original Sonic the Hedgehog. Poor Sonic. Bad Levels in Gaming History just seems to keep picking on you! Nevertheless, a competent game overall, Sonic: Lost World isn't an overtly bad game per se. In fact, many of its levels and ideas are quite good. 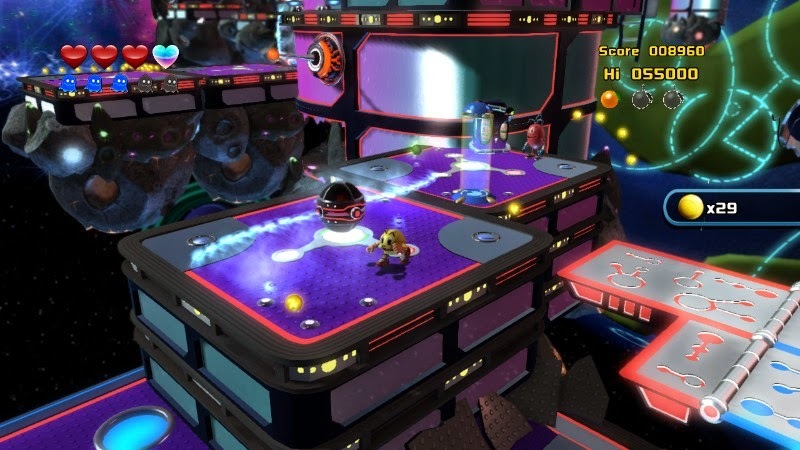 Frozen Factory Zone 2 borderlines on good, but it ends up being bad overall. The concept of this level is that Sonic is trapped in a snowball and must navigate the narrow platforms and pathways of the level or risk falling off into the abyss. While this is a novel idea, the execution leaves something to be desired. You see, the snowball moves very slow and has clunky movement. It makes moving around with any kind of perfect accuracy just a daydream. Factor in enemies that can blow you away just from touching them, and you have a recipe for disaster, and that's what a good portion of this second level in the Frozen Factory is, a disaster. 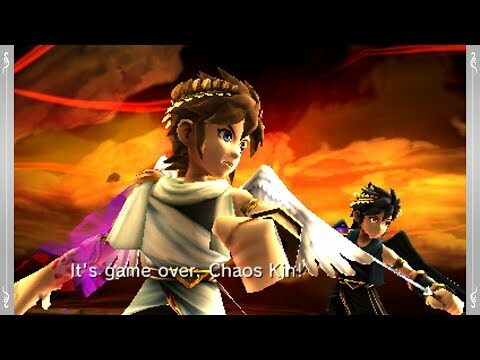 A chapter the near the end of Kid Icarus: Uprising, Chaos Vortex is a two part level which has a first part that is perfectly fine. 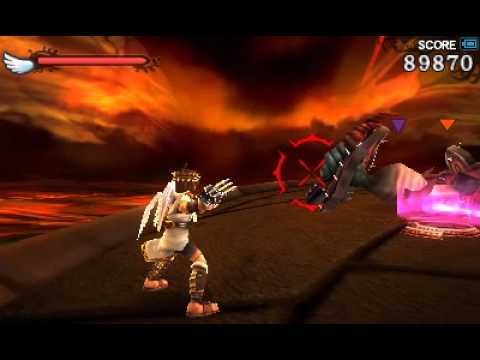 It's the game's typical on-rails flight level that has our protagonist Pit following the creature that controlled Palutena for several chapters, causing havoc unto the world. 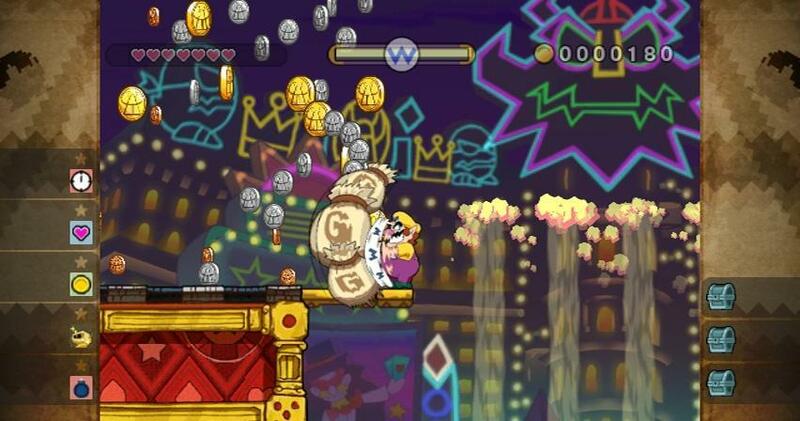 It's the second portion of Chaos Vortex, Chaos Island, that is one of the weakest parts of the game. It has Pit on a singular island combating enemy after enemy in wave after wave. It's not the most fun experience in Uprising, and it feels like it goes on for an eternity. There's nothing like going through multiple waves, upwards of a dozen or so, only to take too much damage and fail the level. This is especially easy to do when the Orne enemy shows up, a foe that if Pit touches, it's instant death. Thus, the second part of Chaos Vortex brings the entire chapter down, and makes it one of my least favorite chapters to play. I appreciate the need to mix things up, but here the idea didn't work out so well. Top Ten Long Lost Nintendo Franchises I Want to Return on the "NX"
The "NX": Nintendo's next system... or is it systems? Is it a console/handheld hybrid or two different devices? It's hard to know for sure. Nintendo is as tight-lipped as ever, and as seal-proof leak-wise as possible. That being said, it doesn't hurt to think about those franchises of yesteryear form Nintendo that deserve another chance in the spotlight with this new beginning of Nintendo. These ten franchises are some of my favorites that haven't gotten their fair share of spotlight in the recent past. Perfect for a handheld, Wario Land has generally been a portable franchise anyway, with only two non-portable entries: the Virtual Boy game (I can't walk around and play the system, after all) and the excellent Wario Land: Shake It!/The Shake Dimension on Wii. Lately, Wario's been all about micro and mini-games instead of full fledged adventures, so I'd love to see the garlic-chomping antihero back in action with a Wario Land 4 or Shake It!-like platformer. This if a twofer, actually. 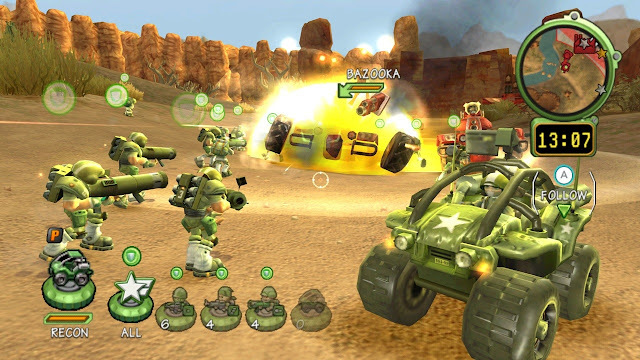 Not only has the Advance Wars franchise been MIA for a handheld generation, but the Battalion Wars series has been AWOL for a generation as well. The two are as different as different can be despite being under the same "Wars" branding and moniker. While Advance Wars features overhead tactical gameplay that pits strategic minds against one another, Battalion Wars is all about being on the frontlines themselves in real time combat, switching being troops to win the battle. Both could use another chance to shine ASAP. 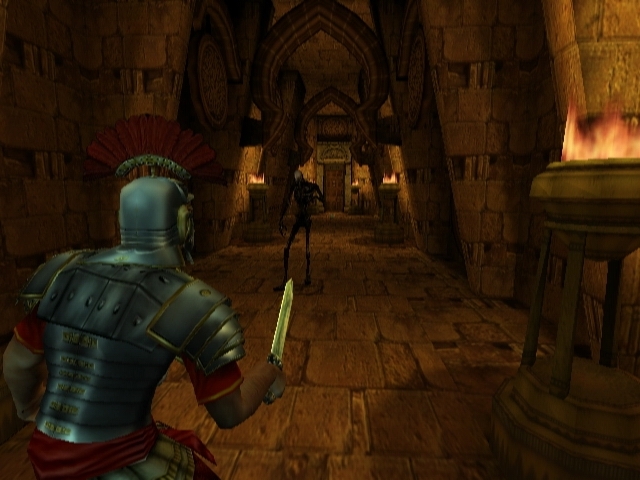 Silicon Knights is a mere shell of its former self, a company with great prospects to it who had worked with Nintendo on Eternal Darkness: Sanity's Requiem for the GameCube. 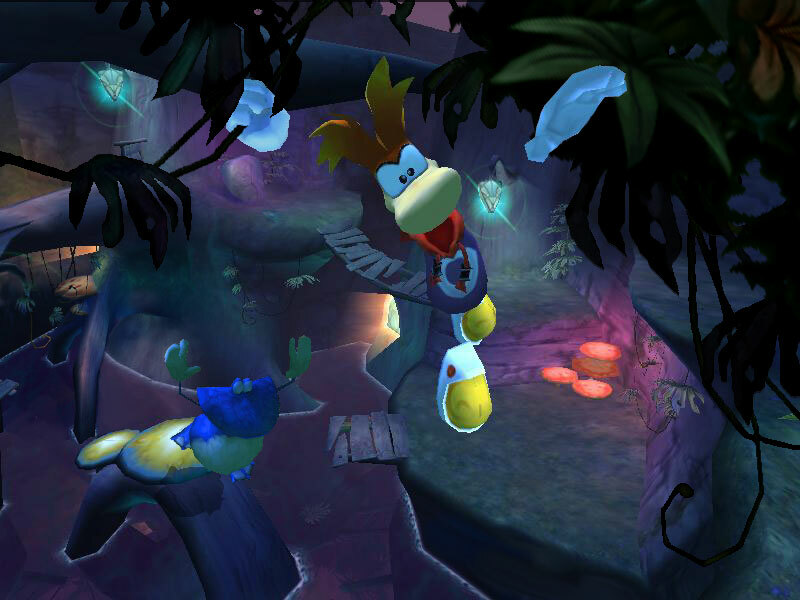 The game had a way with messing with the minds of players with its sanity effects. Things like muting the volume or pretending to erase your memory card were used sparingly to great effect. It's time for a new chapter in this IP. Nintendo needs more than its usual collection of colorful characters to win the West over, so I think having a dark game like a new Eternal Darkness would help. Heck, I'm not even concerned about Nintendo winning anyone over-- I just want a new Eternal Darkness! 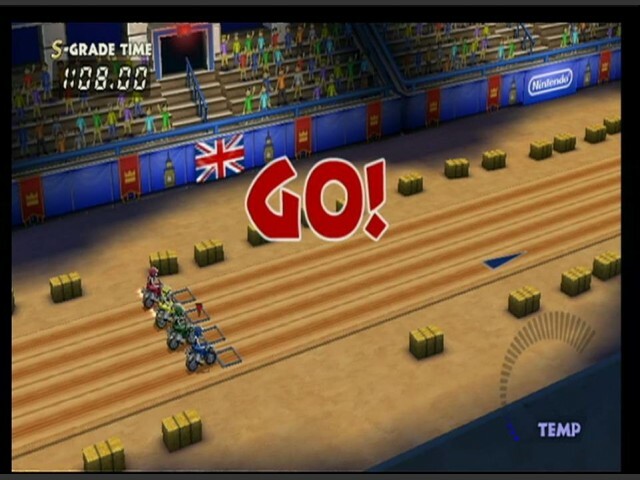 Whether you know it as Excite Truck, ExciteBots (most underrated arcade racer on the Wii, maybe in all of last gen), or its most common form as Excitebike, the Excite series thrills with its epic races whether it's in a motocross arena, the wide open expanses of the country, or a rugged race course. You'll notice that there are more than their fair share of racing titles on this list. I'd love for Nintendo to come out of the gate with something more than Mario Kart this generation. The Excite series is but one series that could shape up the racing genre on the NX platform or batch of platforms. An epic RPG series other than Xenoblade, which seems to have a one-every-generation appearance, is definitely needed on the NX. While I'm sure on the handheld side that third parties will deliver enough role-playing content to last a good while, it's time for Nintendo to get back into the swing of things (sword-swinging, that is) with a new entry in the fantastic Golden Sun series. While the initial two Game Boy Advance entries were excellent, the DS entry, Dark Dawn, wasn't as stellar. Still, as a singer named after a dinner platter once sang, "Two out of three ain't bad." 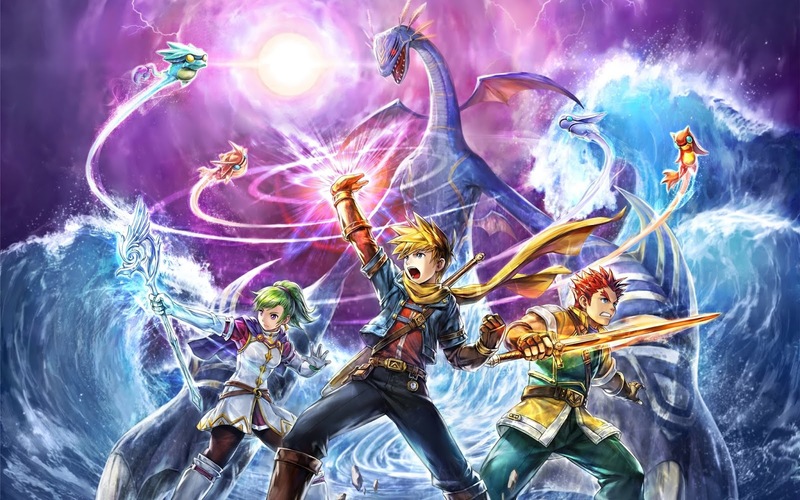 If Camelot isn't comfortable with delivering an HD RPG on a home console (the company's first HD game, Mario Tennis: Ultra Smash, was utterly lacking content), then Golden Sun is perfect for a handheld. 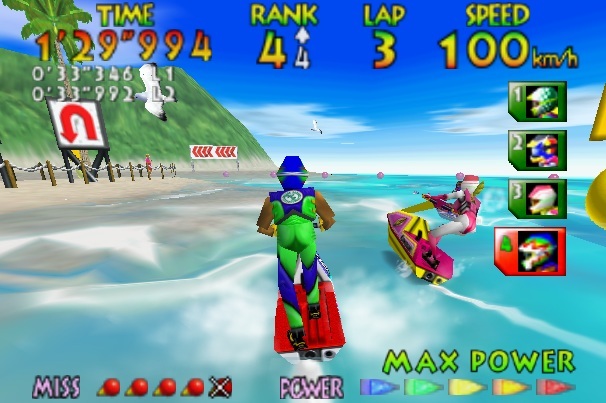 After seeing last week Rare's awesome showing of some water physics for their upcoming Xbox One and Windows 10 release, Sea of Thieves, as well as viewing some footage of Kinect Sports Rivals' jet skiing, I'm more than ready to have Nintendo return to the ocean, lake, and river waves with Wave Race. 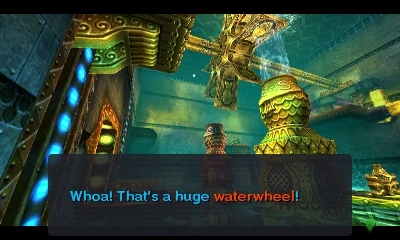 The water physics of the original Nintendo 64 hit as well as the launch title for the GameCube, Wave Race: Blue Storm, wowed on release and are still impressive to this day. Just imagine a new Wave Race in HD with silky smooth waves on some courses and choppy, dangerous waves on others. I'm drooling enough that you could ride a jet ski in the puddle I'm making! I told you I'd be mentioning a lot of racing franchises on this list, so I hope I'm not overdoing it too much. However, this franchise is one I hold near and dear to my heart. 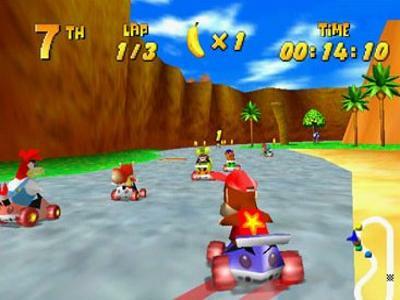 It's Diddy Kong Racing, and the original from Rare is what I consider the best of the mascot kart racing genre. Knowing that Rare was hard at work on Donkey Kong Racing for the GameCube before being purchased by Microsoft hurts to this day. I'd love to see a return to Timber Island or anywhere else as long as the game has an awesome story-based adventure mode. 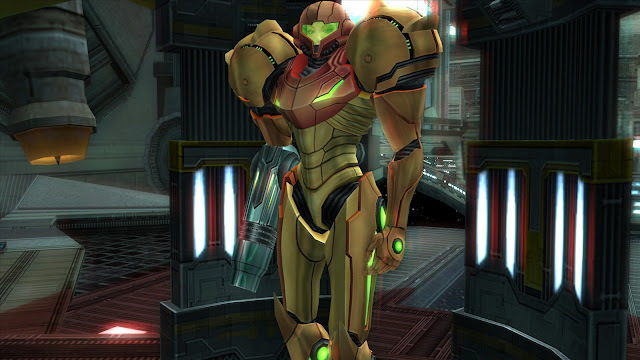 While the discontent and sheer overreaction from Metroid fans over the announcement of Metroid Prime: Federation Force was embarrassing to me as a fan myself, let's get down to brass tacks-- we're still waiting on a traditional Metroid game starring Samus Aran. This is what I mean when I mention Metroid on this list: a game where you explore desolate worlds, acquiring new weapons and abilities to progress through the game. Federation Force isn't that, and while I'm definitely holding interest for that game, I would be lying if I said I wouldn't want a more traditional adventure starring Ms. Aran. 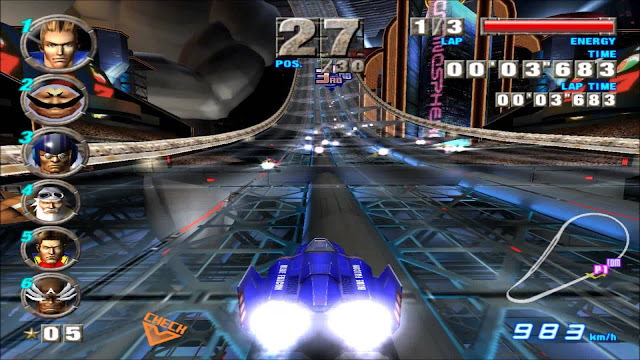 When the Wii U was announced, I dreamed of a new F-Zero. After all, after F-Zero GX's amazing gameplay and high speeds, it seemed that the next step for the series was an HD outfitting. This, as we all know, never came. However, I still hold hope that the blistering, lightning fast speeds of the F-Zero franchise, and its 30 craft racers will return to the forefront one of these days. Whether it's a handheld version or a console (the latter is preferred), the thought of a new F-Zero leaves me yearning for an announcement. With a new demo of Final Fantasy XV fresh in gamers' minds, I felt the desire to take a look back at the series. While counting down my favorite Final Fantasy games would take us all down already traveled roads, I figured that talking about the lesser appreciated games in the series would be a more worthwhile prospect. That's exactly what I've done with this top ten, one that delves into the Final Fantasy franchise's most underrated entries, whether mainline or spinoff. 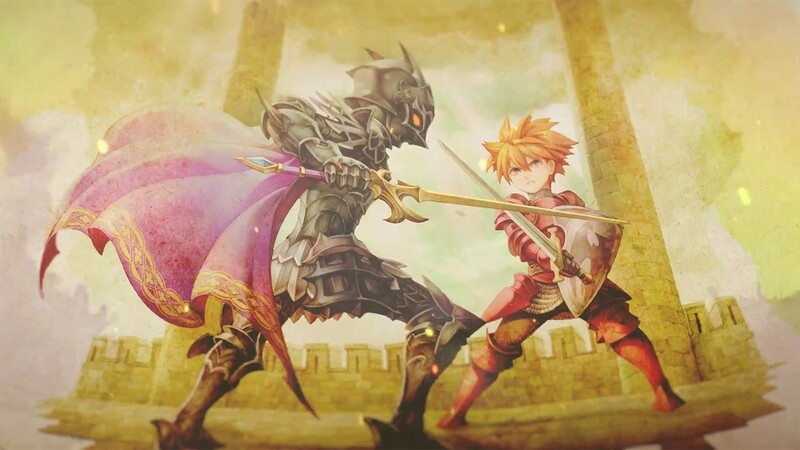 We begin this Final Fantasy focused top ten list with the most recent Final Fantasy to be released, Final Fantasy Explorers. The game is a beginner-friendly Monster Hunter-like action RPG where you create a character and embark on various monster-slaying, Eidolon-defeating, and item-collecting quests. With the materials and loot you earn, you can craft new armor and weapons for your character, thus enabling you to take on higher ranked quests. 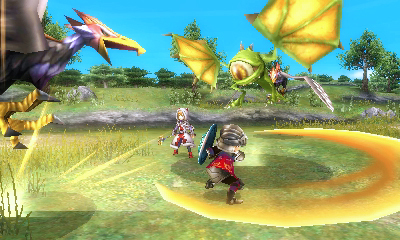 The longevity of Final Fantasy Explorers isn't anywhere near as deep as the series it was inspired by, but online play with up to three other buddies makes for exciting times. 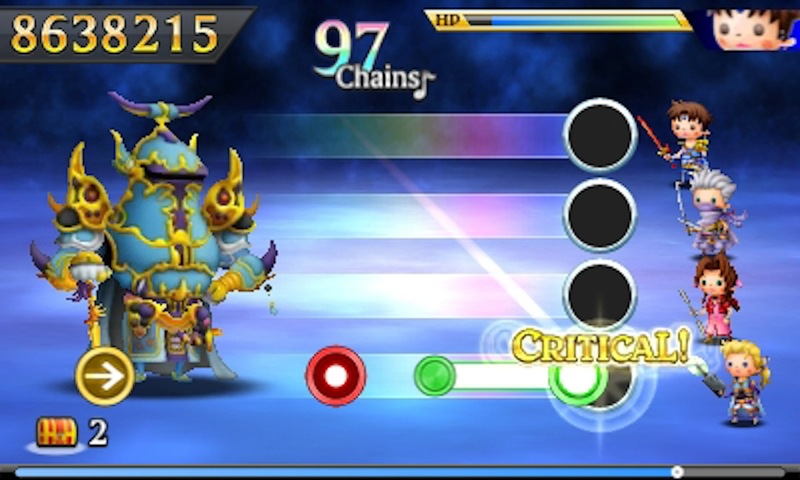 Probably my favorite rhythm game ever devised, Theatrhythm Final Fantasy: Curtain Call, also on the Nintendo 3DS, combines three of my loves: Final Fantasy music, RPG gameplay, and rhythm-based inputs. 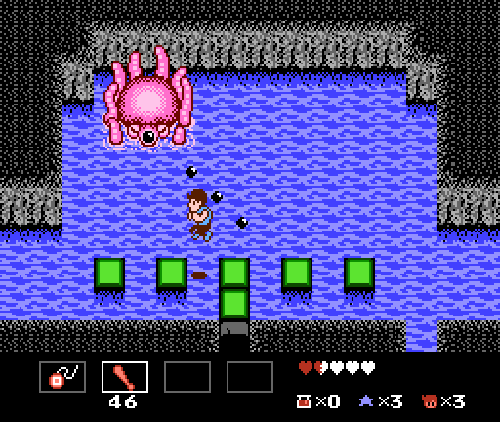 Through tapping, touching, and holding the touch screen in time with the on-screen prompts (or utilizing the new button-based input methods), you deal damage to monsters or make your way through various environments. Level up your characters, learn new moves, unlock new songs and characters, and endure the fun quests that Curtain Call contains. 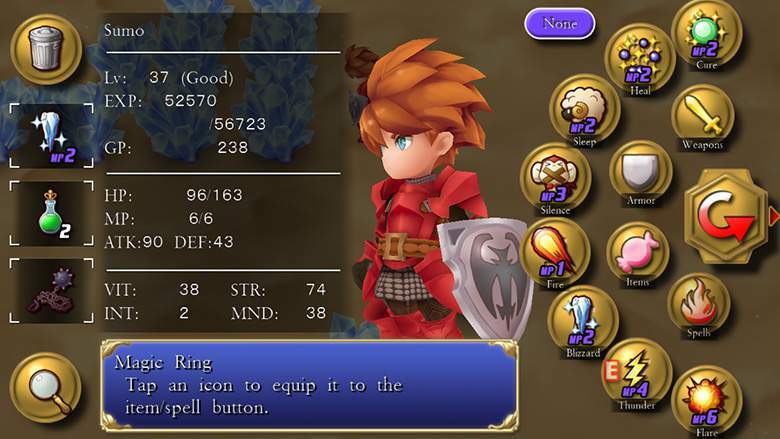 Perhaps the precursor to the wildly popular Chrono Trigger due to the game's fantasy and time travel elements, Final Fantasy Legend III has the main characters entering into the past, collecting over a dozen upgrades for their airship, the Talon, in order to stop a great flood from covering the planet. Take on various classes with different strengths and weaknesses as you battle foes to gain experience, earn new levels, and learn new magic and spells. Final Fantasy Legend III is by no means a complex game, but it hearkens back to a simpler time in gaming, and this title is a perfect example of that. Originally a Japanese exclusive for the Super Famicom, Final Fantasy V got its first official Western release as part of the Final Fantasy Anthology for the original PlayStation, a two-disc compilation of Final Fantasy V and Final Fantasy VI. 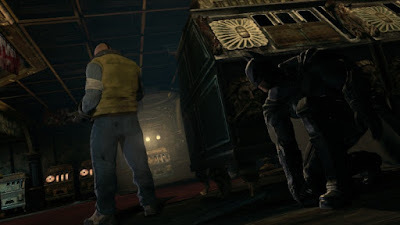 The game is known for introducing a high level of customization for characters thanks to the extremely beneficial job system. It makes multiple play-throughs of Final Fantasy V give the player a plethora of options for how they want to do a run of the game. This deep character customization would be utilized in various degrees in multiple future Final Fantasy games, most famously Final Fantasy Tactics. Being a game that was initially Japan-only, Final Fantasy V is one of the lesser talked about mainline entries in the long-running franchise. Let's get this out of the way first and foremost-- yes, Luso, the main character, looks ridiculous with his giant pizza cutter sword and wacky attire. However, if you can stand his out there fashion sense, what you get is a highly competent tactical RPG that, while nowhere near as serious as the original Final Fantasy Tactics, offers plenty of well designed maps, foreboding enemies, a high element of strategy, and numerous characters to grow attached to. 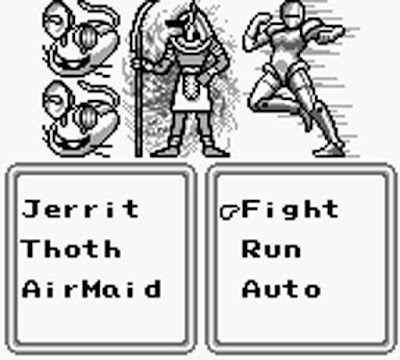 What Final Fantasy Tactics A2: Grimoire of the Rift doesn't have, though, is the mandatory law card judgment system that caused many a groan in the original Final Fantasy Tactics Advance. 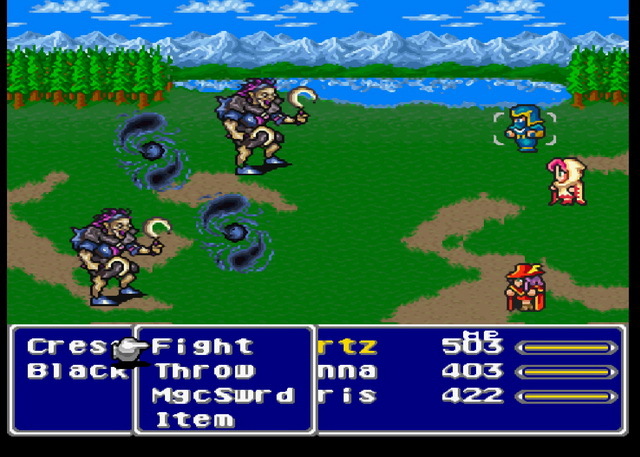 The Final Fantasy series has visited numerous genres throughout its enduring lifespan. 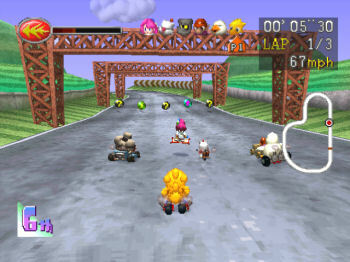 One such genre that Chocobo Racing took players to was the mascot kart racer, similar to Mario Kart. 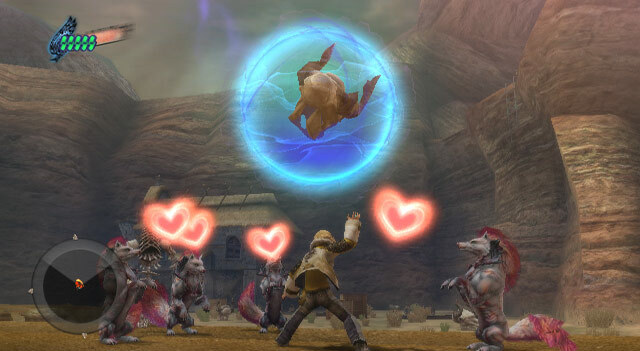 With a vast assortment of characters both already unlocked and unlockable, from Chocobo to Mog the Moogle, a White Mage to Bahamut, Chocobo Racing delivers plenty of variety in its roster. The tracks are themed after various Final Fantasy locations, and the modes are numerous, with the main attraction being Story Mode. While it's not the best kart racer out there, Chocobo Racing is indeed far better than the average reviews at the time would lead you to believe. 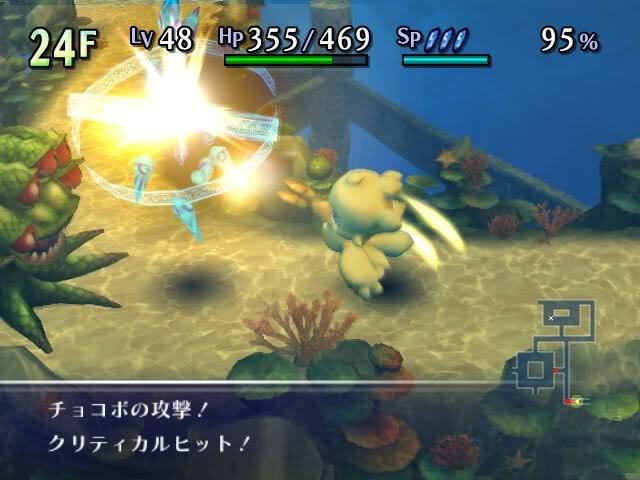 Another game starring Chocobo, this time it's for a beginner roguelike in Final Fantasy Fables: Chocobo's Dungeon. 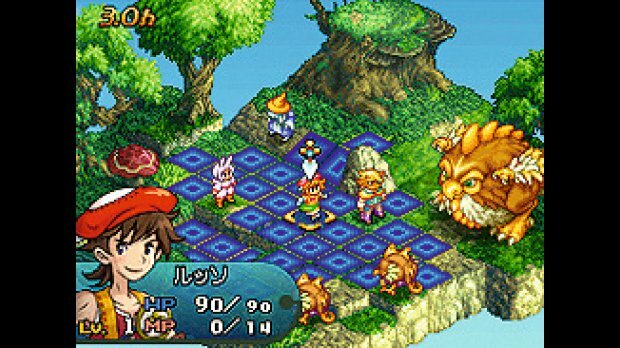 This game has the titular Chocobo entering the memories of the citizens of Lostime where labyrinthine dungeons filled with monsters and treasure lie. Chocobo can master various jobs that help him survive the challenges inside each dungeon. 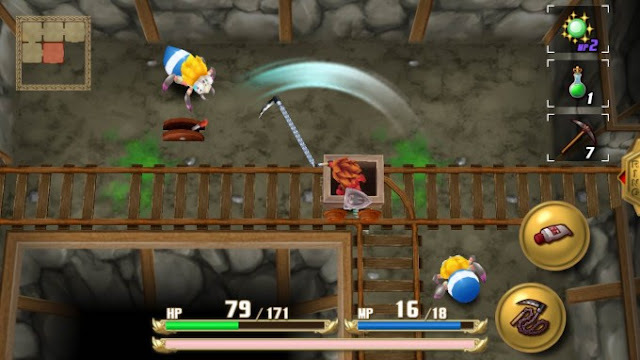 Chocobo's Dungeon features a gorgeous and pleasant-to-the-eye pastel style to its visuals, and many memorable themes from the Final Fantasy series made their way into the game. It all makes for a game that I really enjoy and wish more people had picked up. 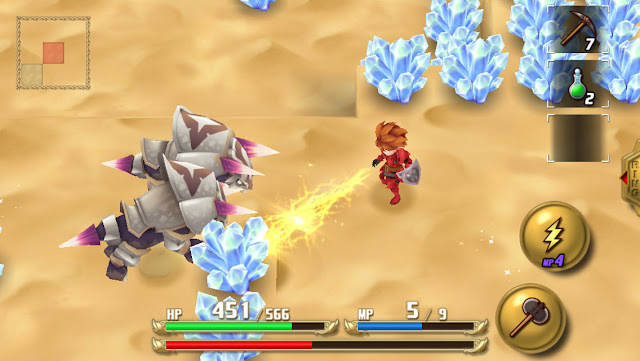 Moving from Wii game to Wii game, this next game features one of the coolest protagonists in a Final Fantasy game, the crystal bearer Layle. With his power, he can use his magic to "grab" enemies and objects and toss them into other foes to deal damage in the game's battles. That's not the main focus of Final Fantasy Crystal Chronicles: The Crystal Bearers, however. Instead, a greater focus is put on exploring the varied areas of the game as well as partaking in story progressing mini-games, such as piloting an airship through a narrow canyon and sneaking through the passenger cars of a secured train. Not only is Layle one of the cooler Final Fantasy heroes around, but the soundtrack is also one of the better ones for a Final Fantasy spinoff. All this adds up to a game that really deserves more attention. What does a group of four youths do when their parents are all killed during a military invasion? Why, they team up together and embark on an adventure to get revenge, rescue leading members of the military resistance, and take down key powers within the army. 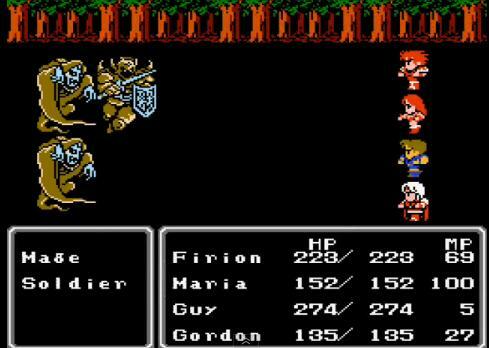 Final Fantasy II, the actual Final Fantasy II and not the U.S. numbered Final Fantasy II for the SNES, introduced many concepts into the Final Fantasy universe which would become mainstays for the series, including chocobos and various recurring enemies. 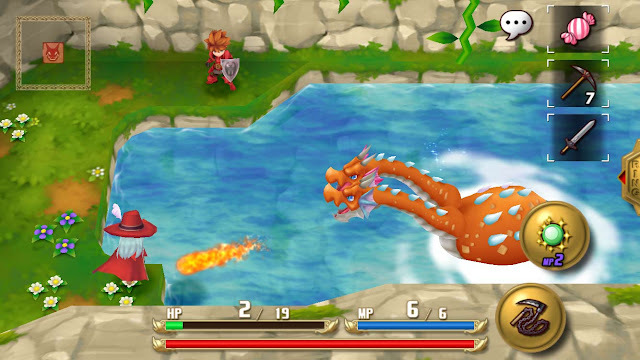 The game uses an atypical and easily exploitable experience system where party member actions determine experience points given instead of gaining them from won battles. 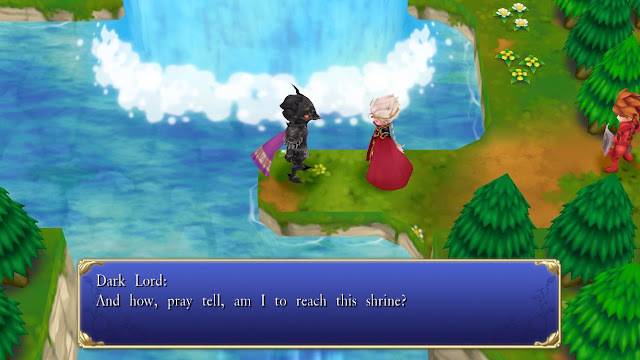 While Final Fantasy II has gotten more attention with its Western releases on the Game Boy Advance, PlayStation Portable, and mobile devices, it's still nowhere near where it deserves to be. A game that signaled the first time Square worked on a Nintendo home console since the Super Nintendo's Super Mario RPG, Final Fantasy: Crystal Chronicles sports a rustic soundtrack (one of the series' best, for sure), old school stylings, engaging dungeon crawling, and remarkable multiplayer. However, the last point is only available by having four friends link up their Game Boy Advance systems to a GameCube. This took the wind out of many prospective players' sails. 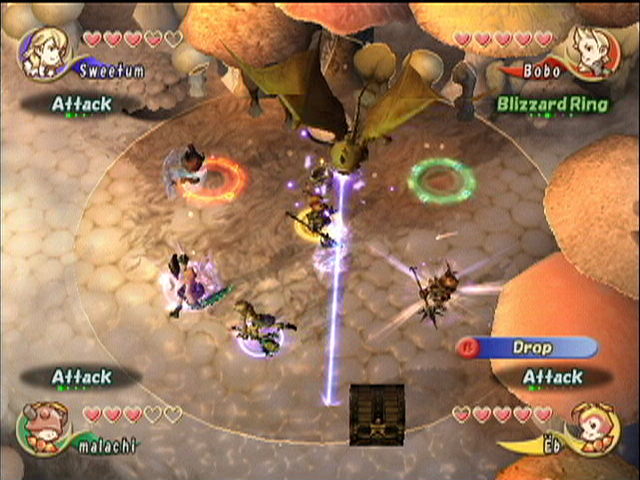 Nonetheless, if you could find three other friends with GBAs and link cables, then you'd find yourselves having a massively marvelous time, trekking through Crystal Chronicles's dungeons, facing off against familiar Final Fantasy foes and bosses, and working together to solve simple environmental puzzles. Even alone the experience is worthwhile, and that's why I have ranked Final Fantasy: Crystal Chronicles as the most underrated Final Fantasy game currently released.